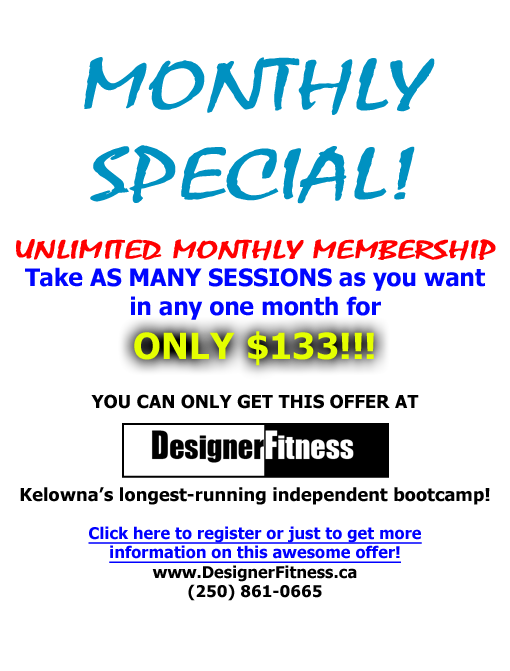 "Designer Fitness offers the greatest 1 hour 'boot camp' here in Kelowna... outdoors rain or shine, heatwave or frigid! The leaders are always oozing with enthusiasm and before you know it the time is up! Terrific! Hard work and tons of fun!"